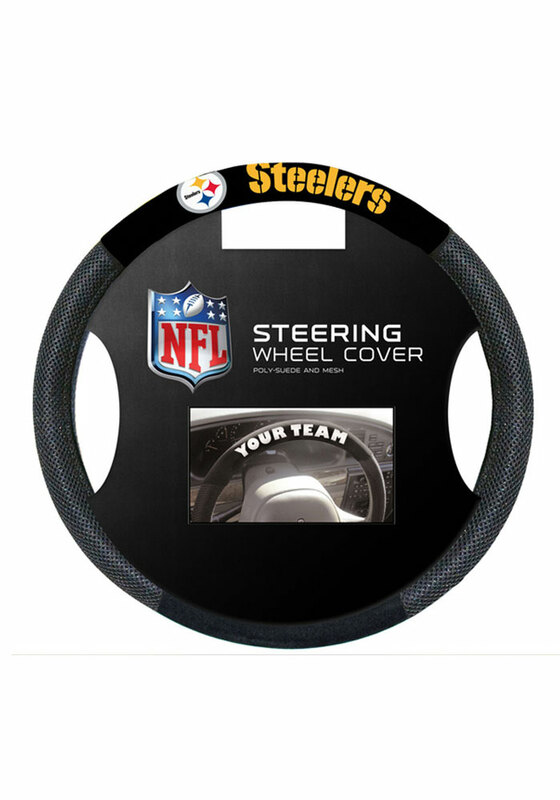 Deck out your ride in Pitt Steelers Steelers pride inside and out with this Pittsburgh Steelers Steering Wheel Cover. This Steering Wheel Cover features a team name with team name and will look great in any car. Go Steelers!